Sure - recent history is littered with examples of mobile spin offs that have gone wrong and, yes, the announcement of Blizzard’s latest mobile effort was far from universally-acclaimed. However, for Overwatch and the ecosystem around the Overwatch League to continue to grow, expanding into the mobile space makes a lot of sense. I’m not saying it’d be easy. There are no shortage of challenges here, from working with a mobile form-factor. But if Hearthstone is any indication, Blizzard is probably one of the few companies best-equipped to navigate and overcome them. And, honestly, expanding the Overwatch franchise with a mobile version (based around the same core experience as the full game) makes a lot more sense than a spin-offs, sequels or an expansion pack does. Blizzard have invested years of time and money into building up the Overwatch League. When you keep that in mind, the idea of launching an expansion pack or “Overwatch 2” starts to look messy. At best, it’ll split the playerbase for the game and increase churn among more casual players. At worst, it could divide and fragment the game at a professional level - causing major problems for the Overwatch League, the biggest and most high-profile of Blizzard’s esports ventures. Just look at how long it took Valve to wean Counter-Strike professionals away from Counter-Strike 1.6 and onto Global Offensive. Think about how long it took Starcraft 2 to win over Brood War veterans. Launching a sequel (or expansion pack) to Overwatch might be quick money but it could directly jeopardize the game’s longevity, which is fundamental to its positioning as an esport. By comparison, launching a mobile version of Overwatch makes a lot more sense. For obvious reasons, the mobile version of the game wouldn’t compete directly with the full Overwatch experience. The graphics wouldn’t be as good, the controls wouldn’t as tight and it wouldn’t bleed players from the competitive scene. However, it would bring in new audiences. As of May 2018, Blizzard say they’ve sold and shipped over forty million copies of Overwatch. The days of launch-pricing are well behind us, sales are frequent and the regular price of Overwatch is about thirty bucks. When it comes to the console and PC gaming space, it feels like pretty much everyone who is going to buy Overwatch already has. Given the long-term ambitions that Blizzard have for the game’s esports hooks, this is a problem. 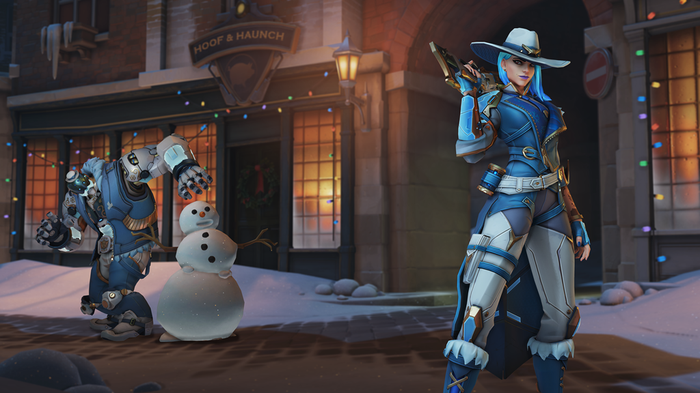 Factor in the reliance the developer has on microtransaction revenues to keep Overwatch profitable, and it becomes clear that going mobile is not just a possible solution but maybe the best way to approach address the long-term decline of both profitability and engagement with Overwatch. To start with, it expands the reach of the game from those with an Xbox and Playstation (or gaming PC) to anyone with a phone - which is, well, basically everyone. These new players won’t just expand the amount of people playing Overwatch, they’ll also expand the potential audience for the Overwatch League and potential microtransaction revenue that Overwatch can generate. If anyone can download the basic Overwatch experience on their smartphone of choice, the barrier to learning the game and being able to spectate and get invested in the Overwatch League becomes that much lower. Now, again, none of this is to say that bringing a good version of the Overwatch experience to mobile is easy. It won’t be. But that’s not to say it’s impossible. However, before I saw the recent string of sizzle reels for Call of Duty: Mobile, I probably would have said the same thing about Call of Duty. To be fair, I’ve not yet played it for myself but, based on the footage, Tencent has done an incredible job of bringing the fast & furious gunplay of the world’s biggest military shooter franchise to a mobile form-factor. It doesn’t look like a watered-down Call of Duty. It just looks like Call of Duty. And if you can bring Call of Duty to mobile, you can absolutely bring Overwatch to mobile. Hell, one Chinese developer already did - albeit in a very illegal and somewhat-shonky manner. The point is this. We’re three years in and the blueprint for Overwatch hasn’t changed but the financial reality around the game has. The existing plan of adding free heroes and pumping money into the esports side of the equation is going to run into trouble in the next few years if the game’s playerbase stops growing or starts to decline. The best way to combat these trends? A mobile version of Overwatch. 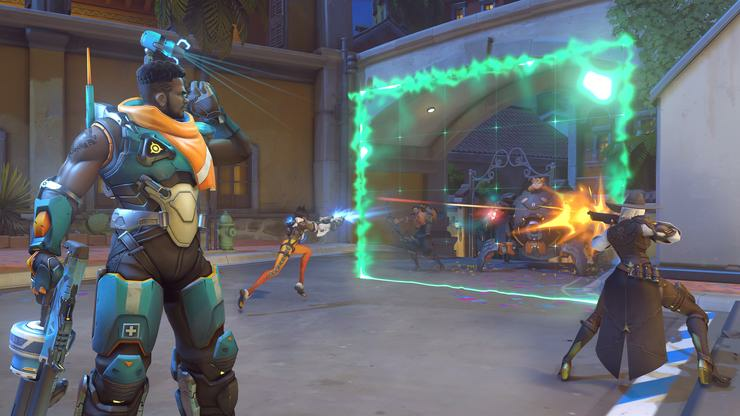 The traditional PC and console version of Overwatch is always going to be center-stage but a mobile version of the game has the potential to draw in new fans and keep older ones engaged. It makes way more sense than a sequel, spinoff or expansion for the game does and it might finally give gaming smartphones a reason to exist.